COMPLETING a pathway connection between Agnes Water and Seventeen Seventy will depend on Gladstone Regional Council's budgeting decisions for the next 12 months. 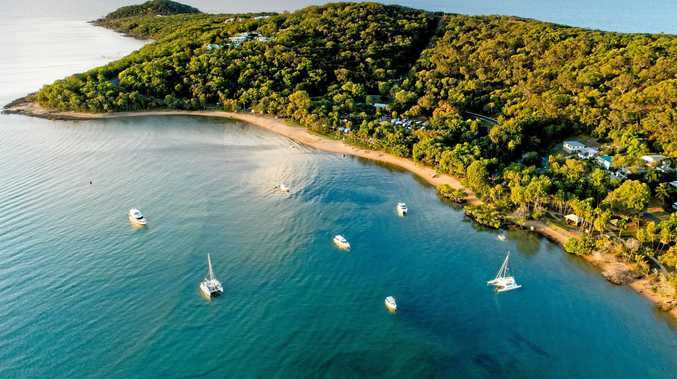 Frustrated by the footpath from Agnes Water that ends about a kilometre before the Seventeen Seventy marina, residents have pleaded with the council to complete the missing link. Some argue it would benefit the region's tourism. Agnes Water man James Lees has arranged a rally this Sunday at 10.30am at the Seventeen Seventy SES grounds to encourage the council to move forward with construction of the footpath. A Gladstone Regional Council representative said extending the footpath from the SES grounds to the Seventeen Seventy marina was scheduled to be completed during the 2018-19 financial year. But they added it was subject to the council's adoption of the annual budget in July. The council funded the design of the footpath to the Seventeen Seventy marina in 2016. During that same year the council spent $140,000 to extend the footpath along Captain Cook Dr by 120m to the Discovery Dr intersection at Points North. The 2016-17 budget also included a pedestrian link between the construction of a 235m footpath for $200,000 linking the township's community centre Springs Rd. It also built a footpath linking the Discovery Christian College to Round Hill Rd.